If you got this recipe way back from this blog bare with me. 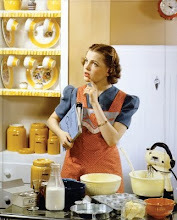 I need to re-post a few recipes since the revamp of The Mixing Bowl page. Plus I made these last night & am always so happy how easy they are & how much everyone loves them. 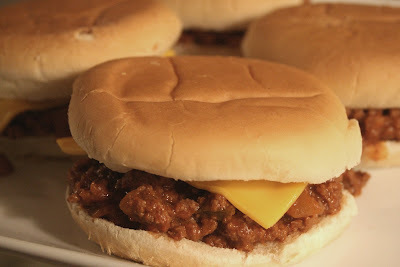 I finish off my Sloppy Joes with a butter toasted bun & some cheese. My hubby likes to add pickles. You can really get creative with toppings to make them more fun. In large skillet cook ground beef until brown. Remove from skillet & drain fat. Add butter, onions, green peppers & garlic to the skillet and cook until soft, about 5 minutes. Add ketchup, tomato sauce, water, brown sugar, Worcestershire sauce, mustard, hot sauce, & paprika. Stir to combine and simmer for 15 minutes, adding salt to taste. Serve on butter toasted hamburger buns, top with cheese or pickles if you like.